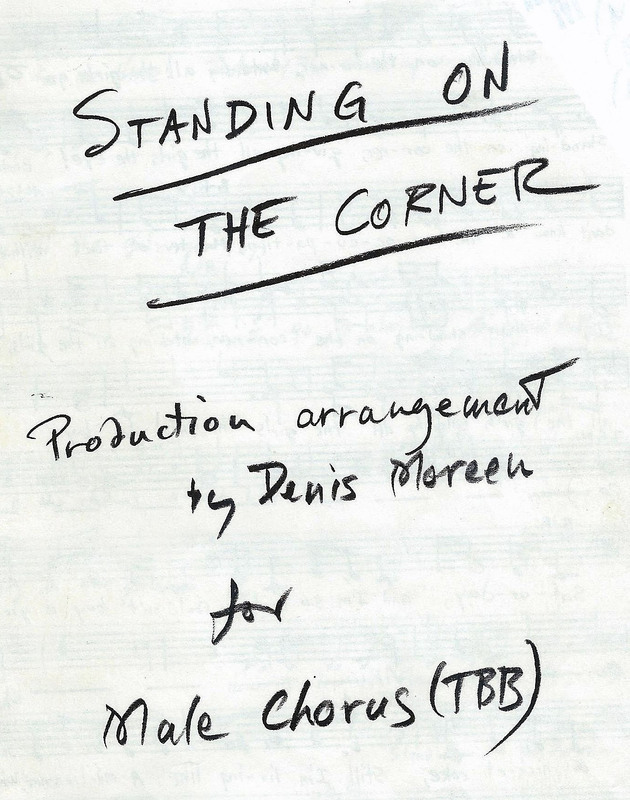 4: Standing on Many Corners - "Arranged by Denis Moreen"
Give it a try . . . In June 2010 I was at a piano in the Chicago home of Christie Hefner, surrounded by a group of former New Trier High School West students and teachers, and we were singing the medley "Standing on the Corner." This was a party for NT West performing arts alums, all of whom I had taught and all of whom still remembered the medley from the 1960s. We have never met but I may have experienced your musical arrangements, or so I hope. From 1977 to 1979 I was part of a High School Boys Singing Ensemble that was led by a VERY talented Mr. [David] Bachmann. He had us sing an arrangement of "Standing on the Corner" in 4 part harmony that, as I recall, was arranged by you. Fascinating and fun piece with verses borrowed from "Peg o' My Heart" and "If You Knew Susie." It seems like every girl in New Trier High School was somehow covered in that song. The sheet music is long gone and my memory is fading. 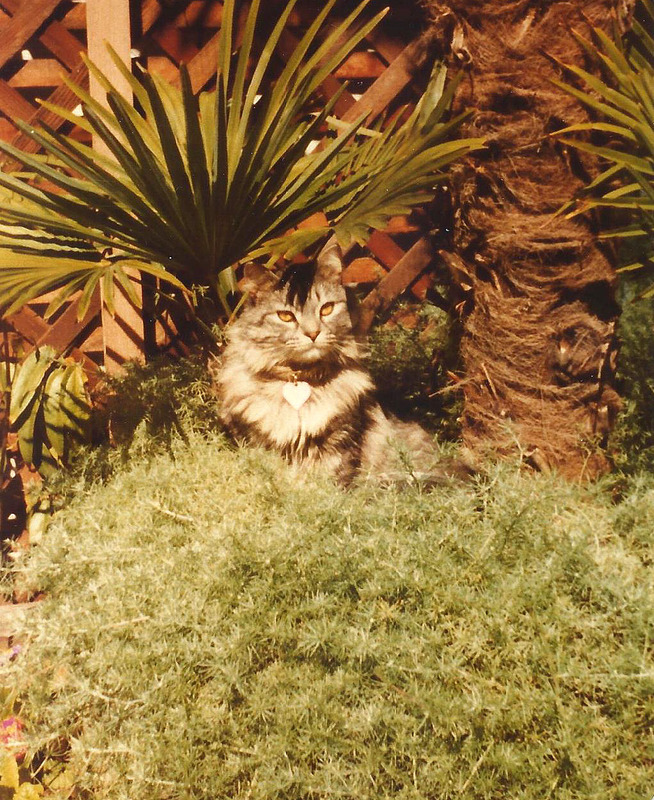 Do you recall authoring this particular arrangement? If so, Many thanks for a fantastic tune. I have been humming it for close to 30 years. These 2010 events started me thinking: Do I have any recordings or sheet music of my arrangements from vintage performances? If not, how can I get some? Thus began my search. In a very real sense, Christie and James and David got me started on a comprehensive archival project which, seven years later, has resulted in this website. "Standing on the Corner" is my most famous -- some would say "most infamous" -- arrangement. It began with a Chicago industrial chorus, no less. I was pianist for the Commonwealth Edison Choraliers, directed by William Ballard. In 1963 Bill asked me to arrange something for the men in the group. I decided to create a medley of pop tunes using girls' names. The work was scored for three-part men's chorus (TBB) and included segments of 28 familiar songs which had been written between 1903 and 1956. No recording exists from the Choraliers May 1963 concert. However, in 1980 I revived the original 28-song medley for use with the Stanford University Glee Club men's group, "The Axidentals." The performance was guest conducted by my good friend Louis Magor, who at the time was Director of the San Francisco Symphony Chorus. 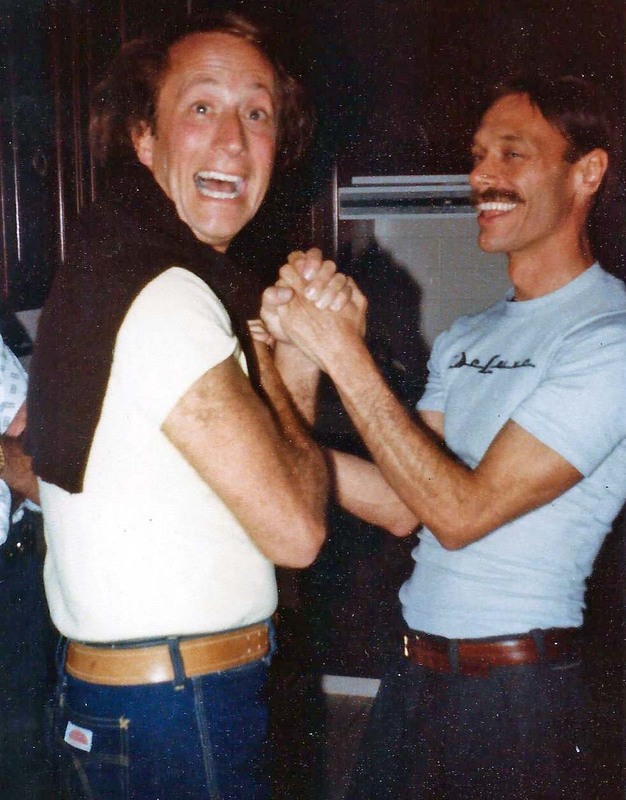 Lou and I have known each other since our days at Northwestern University in the 1960s. I particularly enjoyed this rendition because toward the very end when the title tune was reprised, Lou stopped conducting, came over to the piano bench where I was accompanying, pushed me off, sat down and started playing, leaving me to conduct the men in the final section. You'll notice Lou's slightly different piano style, which closed the work with an unexpected and lovely flourish. 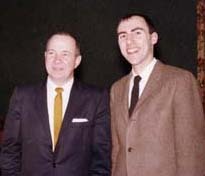 Following the 1963 premiere, I sent a copy of "Standing on the Corner" to Dr. William J. Peterman, chair of the music department at New Trier Township High School. "Doc Peterman" invited me to join the New Trier music faculty in Fall 1964 and asked me to serve as accompanist for his Boys Ensemble. For New Trier I rearranged version 1 of "Standing on the Corner," bringing the number of songs down from 26 to 20 - still several mouthfuls. The following recording of version 2 is from the 1965 New Trier spring festival concert. 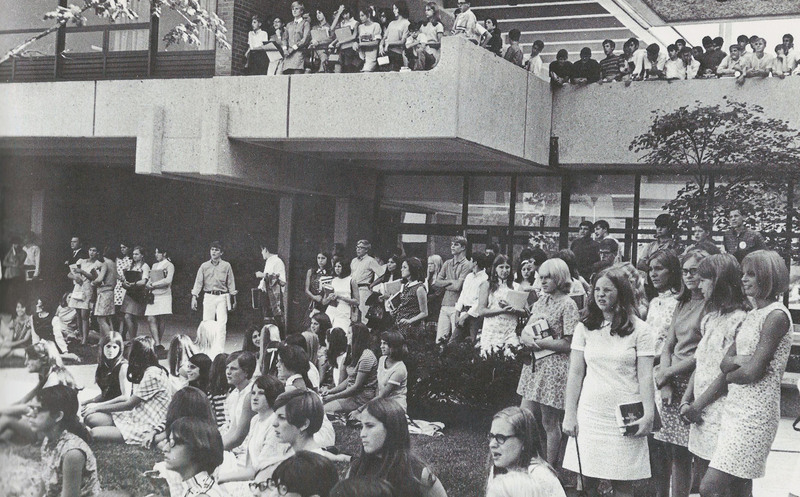 In Fall 1965 New Trier High School opened its new second campus and split into two schools, "New Trier East" and "New Trier West." I taught some of the choral groups at New Trier West, including its own Boys Ensemble. So for the next five years the New Trier West boys sang version 2 of "Standing on the Corner" many times, with my both playing and conducting. That is the time period when the people at Christie's 2010 party were in school and learned the medley. Unfortunately, I have not found any vintage recordings of the work as sung by the New Trier West groups. Fortunately, memories of singing the work seem to live on in the minds of many alums. For instance, one of my former students (who shall go nameless but whose initials are Ross. Brittain.) 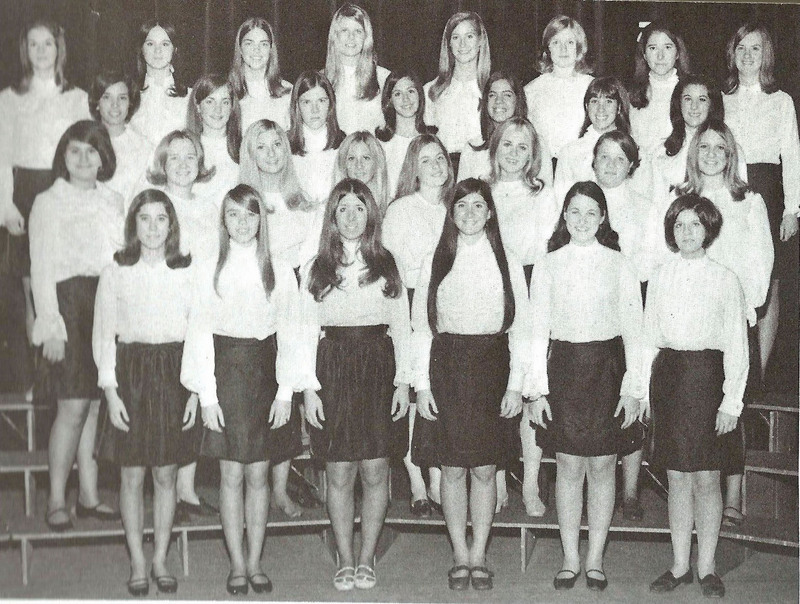 recently wrote me: "My daughter ... and my wife ... watched me tear up as I listened to (and sang along with) "Standing on the Corner" and it brought back so many great memories of the NTW Choir and Boys Ensemble." What a nice tribute. I hope co-editors Don Brownlee and Bob Smith will include it in the next issue of the How-To Herald. Beginning around 1966 "Standing on the Corner" became a sort of underground phenomenon. Due to the wonders - and terrors - of the Xerox machine, the work was performed countless times by countless groups, some of whom asked my permission before performing, others of whom simply "borrowed" the work for their own use (see chapter 1 in this website for a discussion of the noble art of "borrowing"). In 1972 Robert MacKinnon, director of the Stanford University Men's Glee Club, commissioned me to rearrange my earlier version 2 into a four-part work (TTBB). 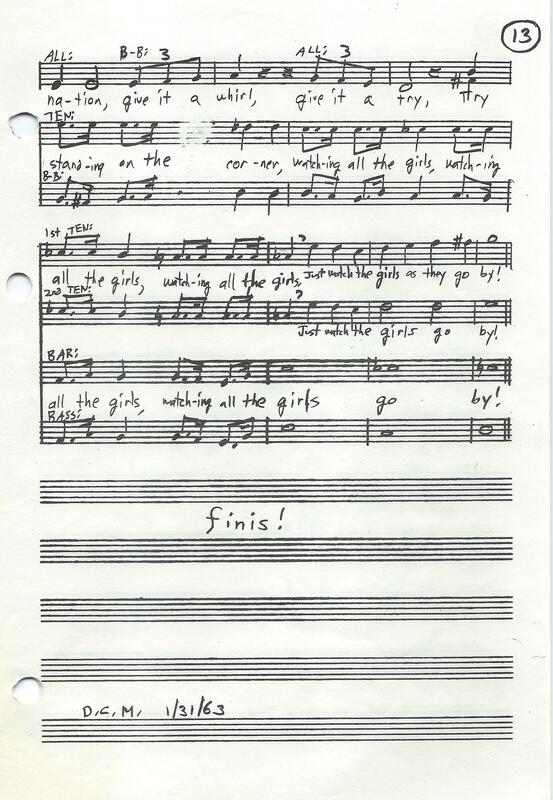 The new version 3 further dropped the number of girls from 20 to 16, and also included an honest-to-goodness written piano accompaniment (as compared with my play-it-by-ear earlier piano parts). The Glee Club and I performed "Standing on the Corner" several times in 1972 but no recordings of version 3 could be found. U N T I L . . . I received James Conley's email in August 2010. James and I exchanged a number of emails and determined that version 1 and version 2 were NOT the arrangements of "Standing on the Corner" which he sang at New Trier East in 1977-1979. Could I possibly find version 3? I enlisted the aid of former New Trier music department chair Dr. Theodore Klinka. Ted did some detective work in the New Trier music library and found a 1976 recording of the medley, as performed by the New Trier East Boys Ensemble, conducted by David Bachmann. I listened to the recording and -- voilà ! -- it was indeed version 3 of "Standing on the Corner." Filled with archival glee, I sent MP3 copies of the 1976 recording to both David and James. Fabulous. It is the version we sang. Many thanks Denis. How wonderful of Ted to research and send the record to you . . .
"Standing on the Corner" remains one of my favorite Boys Ensemble memories! Both the guys (myself included) and the women loved it. 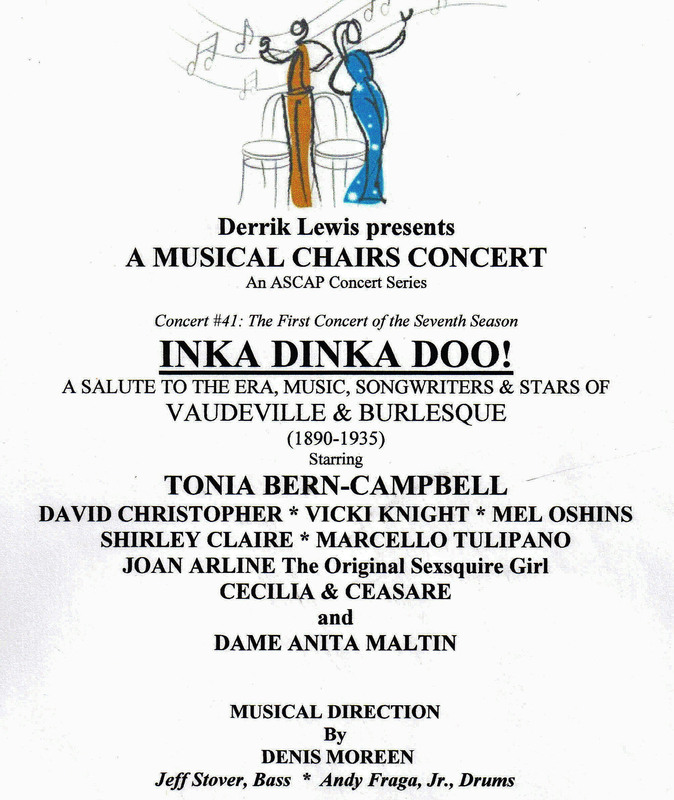 However I did revive "Standing on the Corner" one more time in 2006 when I was hired by Derrik Lewis to be musical director for his Musical Chairs show, Inka Dinka Doo!, a tribute to the American vaudeville and burlesque eras. The catch was that all the songs in the show had to fit into a time frame of 1890 to 1935. So I had to eliminate any tunes in the medley which were written after 1935 - including the title song! Thus it was that version 4 of "Standing on the Corner" became a rearrangement of versions 3, and 2, and 1, now entitled "Sweet Adeline (and Other Sweethearts)." The work was performed by a male barbershop-ish quartet consisting of four seasoned performers: David Christopher, Derrik Lewis, Mel Oshins and Marcello Tulipano. After finishing with version 4 in 2006, I assumed that "Standing on the Corner" would at last be laid to rest. But I hadn't counted on Ron Cohn. 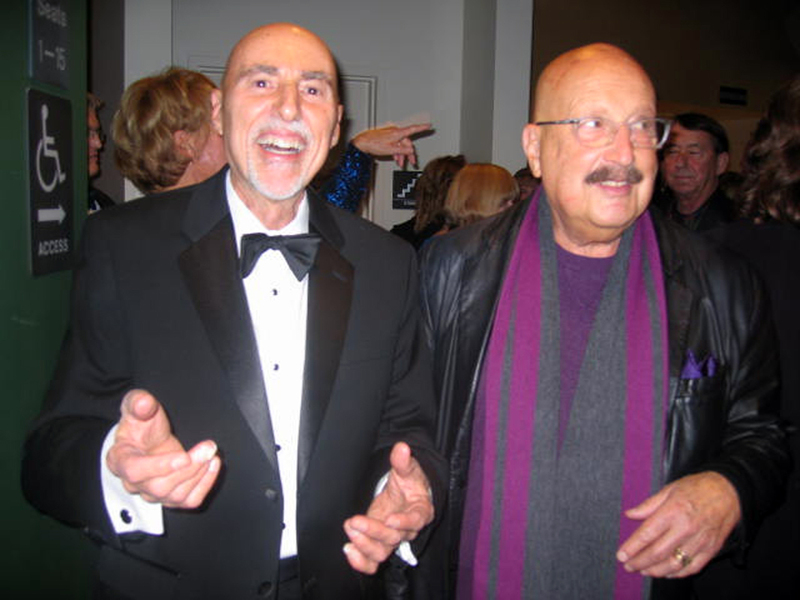 In 2010 Ron and I started doing our annual cabaret shows. In his never-ending quest for new material, one day Ron suggested that he and I perform a duet based on the song "Once in Love with Amy." We brainstormed. I said that Ron should rename his song "Once in Love with Tobi," in honor of his wife. And then, suddenly, I visualized all those 1970s guys once again standing on a corner, watching all the girls go by. Thus was born version 5, which Ron and I performed on many occasions in 2017. "Standing on the Corner" has had a good run over a span of 54 years. I don't anticipate doing a version 6, not because I'm concerned about "political incorrectness," but because I've simply run out of tunes to "borrow." As they say, "They don't write songs the way they used to." But, as they also say, "Never say never. . . ."